Brian E. Perron, Ph.D., is a Professor at the University of Michigan's School of Social Work. Dr. Perron received his Ph.D. from Washington University in St. Louis and a specialization in Data Science from Johns Hopkins University. 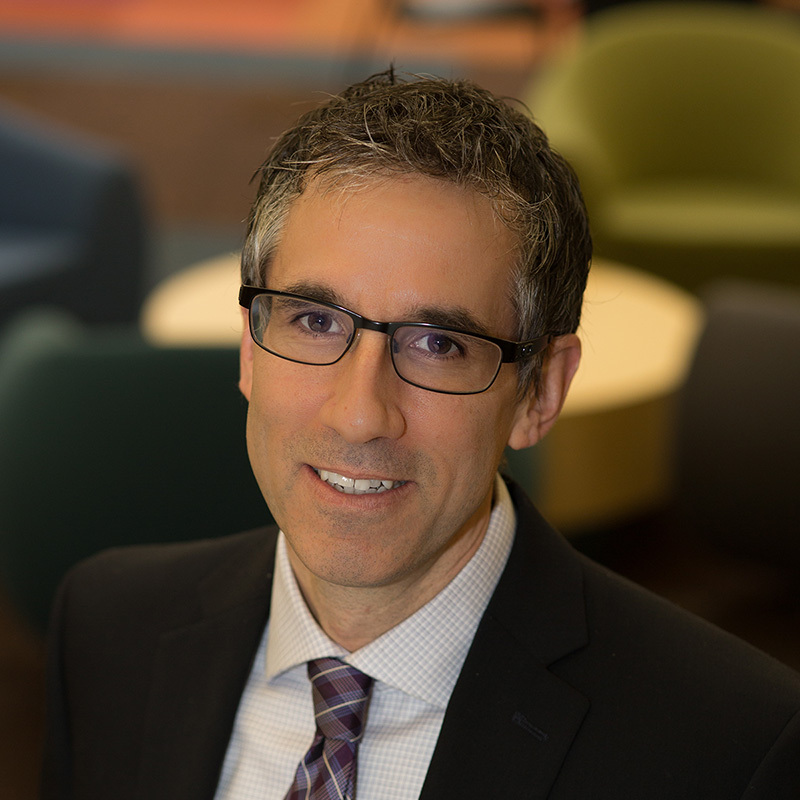 Dr. Perron has extensive experience in services research for persons with mental health and substance use disorders. His research (NCBI, Google Scholar) has been supported by the National Institutes of Health, Department of Veterans Affairs, and the State of Michigan. He recently published books on the topics of measurement (Oxford University Press) and social work practice (Sage Publications). Dr. Perron's recent work focuses on helping community-based organizations more effectively use administrative data to improve service delivery and other business processes.This includes developing user-friendly and sustainable data management systems; using data visualizations to facilitate interpretation of data, especially for non-technical users; and building organizational capacity to promote data-driven decision making. Community mental health, treatment processes, service access and utilization, evidence-based practices. Mowbray, O., Victor, B. G., Ryan, J. P., Moore, A. & Perron, B. E. (in press). Parental substance use and foster care re-entry. Journal of Social Work Practice in the Addictions. Victor, B., Grogan-Kaylor, A., Ryan, J., Perron, B., & Gilbert, T. (2018). Domestic violence, parental substance misuse and the decision to substantiate child maltreatment. Child Abuse and Neglect, 79, 31-41. Hodge, D. R., Victor, B. G., Grogan-Kaylor, A. C., & Perron, B. E. (2017). Disseminating high impact social work scholarship: A longitudinal examination of correlates of 5-year citation counts. Journal of the Society for Social Work and Research, 8(2), 211-231. Mowbray, O., Ryan, J. P., Victor, B. G., Bushman, G., Yochum, C. & Perron, B. E. (2017). Longitudinal trends in substance use and mental health service needs in child welfare. Children and Youth Services Review, 73, 1-8. Chatters, L. M., Taylor, R. J., Woodward, A. M., Bohnert, A., Peterson, T. L., & Perron, B. E. (2017). Differences between African Americans and non-Hispanic whites utilization of clergy for counseling with serious personal problems. Race and Social Problems. Ryan, J. P., Perron, B. E., Moore, A., Victor, B. G., & Park, K. (2017). Timing matters: A randomized control trial of recovery coaches in foster care. Journal of Substance Abuse Treatment. Evangelist, M., Ryan, J. P., Victor, B. G., Moore, A., & Perron B. E. (2017). Disparities at Adjudication in the Juvenile Justice System: An Examination of Race, Gender, and Age. Social Work Research. Perron, B. E., Córdova, D., Salas-Wright, C., & Vaughn, M. G. (2017). Validity: Conceptual and methodological issues in substance abuse research. In J. Van Geest, T. Johnson, & S. Alemagno (Eds. ), Handbook of Substance Abuse Research Methods (pp. 235-249). New York, NY: Springer. Ryan, J. P., Perron, B. E., & Huang, H. (2016). Child welfare and the transition to adulthood: Investigating placement status and subsequent arrests. Journal of Youth and Adolescence, 45(1), 172-182. Perron, B. E., Victor, B. G., Hodge, D. R., Salas-Wright, C. P., Vaughn, M. G. & Taylor, R. J. (2016). Laying the foundations for scientometric research: A data science approach. Research on Social Work Practice. Sage Journals. Victor, B. G., Hodge, D. R., Perron, B. E., Vaughn, M. G., & Salas-Wright, C. P. (2016). The rise of co-authorship in social work scholarship: A longitudinal study of collaboration and article quality, 1989-2013. British Journal of Social Work, 47(8), 2201-2216. Glass, J. E., Hamilton, A. M., Powell, B. J., Perron, B. E., Brown, R. T., & Ilgen, M. A. (2016). Revisiting our review of screening, brief intervention and referral to treatment (SBIRT): meta-analytic results still point to no efficacy in increasing the use of substance use disorder services. Addiction, 111(1), 181-183. Ryan, J. P., Perron, B. E., Moore, A., Victor, B., & Evangelist, M. (2016). Foster home placements and the probability of family reunification: Does licensing matter? Child Abuse and Neglect, 59, 88-89. Davis, A. K., Bonar, E. E., Ilgen, M. A., Walton, M. A., Perron, B. E., & Chermack, S. T. (2016). Factors associated with having a medical marijuana card among veterans with recent substance use in VA outpatient treatment. Addictive Behaviors, 63, 132-136. Victor, B. G., Ryan, J. P., Moore, A., Mowbray, O., Evangelist, M. & Perron, B. E. (2016). Foster care licensing and the risk of reentry to out of home care following family reunification. Children and Youth Services Review, 70, 112-119. Salas-Wright, C. P., Vaughn, M. G., Perron, B. E., Gonzalez, J. M., & Goings, T. (2016). Changing perspectives on marijuana use during early adolescence and young adulthood: Evidence from a panel of cross-sectional surveys. Drug and Alcohol Dependence, 169, 5-10. Ryan, J. P., Victor, B. G., Moore, A., Mowbray, O. & Perron, B. E. (2016). Recovery coaches and the stability of reunification for substance abusing families in child welfare. Children and Youth Services Review, 70, 357-363. Cranford, J. A., Bohnert, K. M., Perron, B. E., Bourque, C., & Ilgen, M. (2016). Prevalence and correlates of “Vaping” as a route of cannabis administration in medical cannabis patients. Drug and Alcohol Dependence. Perron, B. E., Bonhert, K., Perone, A. K., Bonn-Miller, M. O., & Ilgen, M. (2015). Use of prescription pain medications among medical cannabis patients: Comparisons of pain levels, functioning, and patterns of alcohol and other drug use. Journal of Studies on Alcohol and Drugs, 76(3), 406-413. Salas-Wright, C. P., Vaughn, M. G., Todic, J., Córdova, D. & Perron, B. E. (2015). Trends in the disapproval and use of marijuana among adolescents and young adults in the United States: 2002-2013. The American Journal of Drug and Alcohol Abuse, 41(5), 392-404. Vaughn, M. G., Salas-Wright, C. P., DeLisi, M., Perron, B. E. & Córdova, D. (2015). Crime and violence among MDMA users in the United States. AIMS Public Health, 2(1), 64-73. Glass, J. E., Hamilton, A. M., Powell, B. J., Perron, B. E., Brown, R. T., & Ilgen, M. A. (2015). Specialty substance us disorders services following brief alcohol intervention: a meta-analysis of randomized controlled trials. Addiction, 110(9), 1404-1415. Perron, B. E., & Gillespie, D. F. (2015). Key Concepts in Measurement. New York: Oxford Press. Bohnert, K., Perron, B. E., Ashrafloun, L., Kleinberg, F., Jannausch, M., & Ilgen, M. (2014). Positive posttraumatic stress disorder screens among first-time medical cannabis patients: Prevalence and association with other substance use. Addictive Behaviors, 39(10), 1414-1417. Perron, B., Vaughn, M., Ryan, J., Salas-Wright, C., Ruffolo, M. & Guerrero, E. (2014). Predictive validity of self-reported head injury among delinquent youth. In M. DeLisis & M. G. Vaughn (Eds. ), International Handbook of Biosocial Criminology. New York, NY: Routledge Press. Vaughn, M. G., Salas-Wright, C. P., DeLisi, M., & Perron, B. (2014). Correlates of traumatic brain injury among juvenile offenders: A multi-site study. Criminal Behaviors and Mental Health. Perron, B. E., Victor, B. G., & Vaughn, M. G. (2014). Psychometrics. Oxford Bibliographies. Ahmedani, B. K., Perron, B. E., Ilgen, M. A., Abdon, A., Vaughn, M. G., & Epperson, M. W. (2013). Suicide thoughts and attempts and psychiatric treatment utilization: Informing prevention strategies. American Journal of Psychiatry, 63(2), 186-189. Guerrero, E. G., Kao, D. T., & Perron, B. E. (2013). Travel distance to outpatient substance use disorder treatment facilities for Spanish-speaking clients. International Journal of Drug Policy, 24(1), 38-45. Perron, B. E. & Vaughn, M. G. (2013). Conclusions and future directions. In M. G. Vaughn & B. E. Perron (Eds. ), Social Work Practice in the Addictions. New York: Springer. Granillo, M. T., Jarman, C., & Perron, B. E. (2013). Cognitive Behavioral Therapy. In M. G. Vaughn & B. E. Perron (Eds. ), Social Work Practice in the Addictions. New York: Springer. Ahmedani, B. K. & Perron, B. E. (2013). The language of diagnosis. In M. G. Vaughn & B. E. Perron (Eds. ), Social Work Practice in the Addictions. New York: Springer. Powell, T., Garrow, E., Woodford, M., & Perron, B. (2013). Policymaking opportunities for direct practice social workers in mental health and addiction services. Advances in Social Work, 14(2), 367-378. Guerrero, E. G., Marsh, J. C., Duan, L., Oh, C., Perron, B. E., & Lee, B. (2013). Disparities in completion of substance abuse treatment between and within racial and ethnic groups. Health Services Research. Vaughn, M. G., Maynard, B., Salad-Wright, C., Perron, B. E., & Abdon, A. (2013). Prevalence and correlates of truancy in the US: results from a national sample. Journal of Adolescence, 36(4), 767-776. Miller, C. J., Grogan-Kaylor, A., Perron, B. E., Kilbourne, A. M., Woltmann, E., & Bauer, M. S. (2013). Collaborative chronic care models for mental health conditions: Cumulative meta-analysis and meta-regression to guide future research and implementation. Medical Care, 51(10), 922-930. Howard, M. O., Perron, B. E., & Vaughn, M. G. (2012). Inhalant abuse. In J. M. Rippe, M.D. (Ed. ), Encyclopedia of Lifestyle Medicine and Health. Perron, B. E., Howard, M. O., Vaughn, M. G., & Bohnert, K. (2012). Adolescent inhalant use. In J. R. Levesque (Ed. ), Encyclopedia of Adolescence. Perron, B. E., Ahmendani, B. K., Vaughn, M. G., Glass, J., Abdon, A., & Wu, L. (2012). Use of salvia divinorum in a nationally representative sample. American Journal of Drug and Alcohol Abuse, 38(1), 108-113. Pickard, J. G., Grahovac, I. D., & Perron, B. E. (2012). The philosophy and practice of AA and twelve-step programs. In M. G. Vaughn, B. E. Perron (Eds.) Social Work Practice in the Addictions. Woltmann, E., Grogan-Kaylor, A., Perron, B. E., Georges, H., Kilbourne, A. M., & Bauer, M. S. (2012). Comparative effectiveness of collaborative chronic care models for mental health conditions across primary, specialty, and behavioral health care settings: systematic review and meta-analysis. American Journal of Psychiatry, 169, 790-804. Vaughn, M. G., Perron, B. E., Abdon, A., Olate, R., & Wu, L. T. (2012). Correlates of handgun carrying among adolescents in the United States. Journal of Interpersonal Violence, 27(10), 2003-2021. Vaughn, M. G., DeLisi, M., Beaver, K. M., Perron, B. E., & Abdon, A. (2012). Toward a criminal justice epidemiology: Behavioral and physical health of probationers and parolees in the United States. Journal of Criminal Justice, 40(3), 165-173. Glass, J. E., Perron, B. E., & Straussner, S. L. (2012). Introduction to the special issue [addiction-related issues among active-duty military, veterans and their families]. Journal of Social Work Practice in the Addictions, 12(1). Phiri, C., & Perron, B. E. (2012). Health implications of chronic homelessness: lived experiences of adult men and women from a community in Gauteng Province, South Africa. African Journal for Physical, Health Education, Recreation and Dance, 18, 160-173. Lee, S. J., Perron, B. E., Taylor, C. A., & Guterman, N. B. (2011). Paternal psychosocial characteristics and corporal punishment of their 3-year-old children. Journal of Interpersonal Violence, 26(1), 71-87. Howard, M. O., Hall, M. T., Edwards, J. D., Vaughn, M. G., Perron, B. E., & Winecker, R. E. (2011). Suicide by asphyxiation due to helium inhalation. American Journal of Forensic Science, 32(1), 61-70. Howard, M. O., Bowen, S. E., Perron, B. E., & Vaughn, M. G. (2011). Inhalant use and inhalant use disorders in the United States. Addiction Science and Clinical Practice, 6(1), 18-31. Perron, B. E., Bohnert, A., Monsell, S., Vaughn, M. G., Epperson, M., & Howard, M. O. (2011). Patterns and correlates of drug-related emergency department visits: Results from a national survey. The American Journal of Emergency Medicine, 29(7), 704-710. Howard, M. O., Garland, E. L., Vaughn, M. G., & Perron, B. E. (2011). Volatile substance misuse in the United States. Substance Use and Misuse, 46(Suppl. 1), 8-20. Ilgen, M. A., Price, A. M., Burnett-Zeigler, I., Perron, B. E., Islam, K., Bohnert, A. S. B., & Zivin, K. (2011). Longitudinal predictors of addictions treatment utilization in treatment-naive adults with alcohol use disorders. Drug and Alcohol Dependence, 113, 215-221. Krentzman, A., Robinson, E., Jester, J., & Perron, B. E. (2011). Heat maps: A technique for classifying and analyzing drinking behaviour. Substance Use and Misuse, 46(5), 687-695. Vaughn, M. G., Fu, Q., Wernet, S. J., DeLisi, M., Beaver, K. M., Perron, B. E., & Howard, M. O. (2011). Characteristics of abstainers from substance use and antisocial behavior in the United States. Journal of Criminal Justice, 39, 212-217. Vaughn, M. G., Fu, Q., Beaver, K. M., DeLisi, M., Perron, B. E. & Howard, M. O. (2011). Effects of childhood adversity on bullying and cruelty to animals in the United States. Journal of Interpersonal Violence, 26(17), 3509-3525. Ilgen, M. A., Roeder, K. M., Webster, L., Mowbray, O., Perron, B. E., Chermak, S., & Bohnert, A. S. B. (2011). Measuring pain medication expectancies in adults treated for substance use disorders. Drug and Alcohol Dependence, 115, 51-56. Vaughn, M. G., Wexler, J., Beaver, K. M., Perron, B. E., Roberts, G., & Fu, J. (2011). Psychiatric correlates of behavioral indicators of school disengagement in the United States. Psychiatric Quarterly, 82(3), 191-206. Perron, B. E., Grahavoc, I. D., Uppal, J. S., Granillo, T. M., Shutter, J., & Porter, C. A. (2011). Supporting students in recovery on college campuses: Opportunties for student affairs professionals. Journal of Student Affairs Research and Practice, 48(1), 47-64. Vaughn, M. G., DeLisi, M., Gunter, T., Fu, Q., Beaver, K. M., Perron, B. E., & Howard, M. O. (2011). The severe 5%: A latent class analysis of the externalizing spectrum in the United States. Journal of Criminal Justice, 39, 75-80. Perron, B. E., Mowbray, O., Bier, S., Vaughn, M. G., Krentzman, A., & Howard, M. O. (2011). Patterns of service use and barriers among inhalant users. Journal of Psychoactive Drugs, 43(1), 69-75. Perron, B. E., Ruffolo, M., Grogan-Kaylor, A., & Spencer, M. (2011). From SSWR to peer-reviewed publication: How many live, and how many die? Research on Social Work Practice, 21(5), 594-598. Jarman, C. N., & Perron, B. E. (2011). [Review of the book Overcoming bipolar disorder: A comprehensive workbook for managing your symptoms and achieving your life goals]. Research on Social Work Practice, 21(1), 138-140. Perron, B. E., & Ruffolo, M. (2011). [Review of technology: Review of a web-conferencing technology: GoToMeeting]. Research on Social Work Practice. Perron, B. E., & Stearns, A. G. (2011). [Review of technology: Review of a presentation technology: Prezi]. Research on Social Work Practice, 21(3), 376-377. Perron, B. E., & Sellers, J. (2011). [Review of technology: Review of the collaborative and sharing aspects of Google Docs]. Research on Social Work Practice, 21, 489. Vaughn, M. G., Shook, J. J., Perron, B. E., Abdon, A., & Ahmendani, B. (2011). Patterns and correlates illicit drug selling among youth in the United States. Journal of Substance Abuse and Rehabilitation, 2, 103-111. Lee, S. J., Kim, J., Taylor, C. A., & Perron, B. E. (2011). Profiles of disciplinary behaviors among biological fathers. Child Maltreatment, 16(1), 51-62. Link, B. G., Epperson, M. W., Perron, B. E., Castille, D. M., & Yang, L. H. (2011). Arrest outcomes associated with outpatient commitment in New York State. Psychiatric Services, 62(5), 504-508. Perron, B. E., Glass, J. E., Ahmendani, B. K., Vaughn, M. G., Roberts, D. E., & Wu, L. T. (2011). The prevalence and clinical significance of inhalant withdrawal symptoms in a national sample. Substance Abuse and Rehabilitation, 2, 69-76. Krentzman, A. R., Robinson, E. A. R., Perron, B. E., & Cranford, J. A. (2011). Predictors of membership in Alcoholics Anonymous in a sample of successfully remitted alcoholics. Journal of Psychoactive Drugs, 43(1), 21-26. Perron, B. E. (2011). Reducing social loafing in group-based projects. College Teaching, 59(4), 163-164. Perron, B. E., Fries, L. E., Kilbourne, A. M., Vaughn, M. G., & Bauer, M. S. (2010). Racial/ethnic group differences in bipolar symptomatology in a community sample of persons with bipolar I disorder. Journal of Nervous and Mental Disease, 198(1), 16-21. Powell, T. J., & Perron, B. E. (2010). Self-help groups and mental health/substance use agencies: The benefits of organizational exchange. Substance Use and Misuse, 45(3), 315-329. Howard, M. O., Perron, B. E., Vaughn, M., Bender, K., & Garland, E. (2010). Inhalant use, inhalant-use disorders, and antisocial behavior: Findings from the National Epidemiologic Survey on Alcohol and Related Conditions (NESARC). Journal of Studies on Alcohol and Drugs, 71(2), 201-209. Vaughn, M. G., Fu, Q., DeLisi, M., Wright, J. P., Beaver, K. M., Perron, B. E., & Howard, M. O. (2010). Prevalence and correlates of fire-setting in the United States: Results from the national epidemiologic survey on alcohol and related conditions. Comprehensive Psychiatry, 51(3), 217-223. Perron, B. E., Gillespie, D. F., Alexander-Eitzman, B., & Delva, J. (2010). Availability of outpatient substance use disorder treatment programs in the United States. Substance Use and Misuse, 45(7-8), 1097-1111. Jarman, C. N., Perron, B. E., Kilbourne, A. M., & Teh, C. F. (2010). Perceived treatment effectiveness, medication compliance, and complementary and alternative medicine use among veterans with bipolar disorder. Journal of Alternative and Complementary Medicine, 16(3), 251-255. Brower, K. J., & Perron, B. E. (2010). Prevalence and correlates of withdrawal-related insomnia among adults with alcohol dependence: Results from a national survey. American Journal of Addictions, 19(3), 238-244. Brower, K. J., & Perron, B. E. (2010). Sleep disturbance as a universal risk factor for relapse in addictions to psychoactive substances. Medical Hypotheses, 74(5), 928-33. Vaughn, M. G., Fu, Q., DeLisi, M., Beaver, K., Perron, B. E., & Howard, M. O. (2010). Criminal victimization and Comorbid Psychiatric Disorders in the United States: Results from the NESARC. Annals of Epidemiology, 20(4), 281-288. Perron, B. E., Taylor, H. O., Glass, J., & Margerum-Leys, J. (2010). Information and communication technologies in social work. Advances in Social Work, 11(1), 67-81. Perron, B. E., Grahovac, I. D., & Parrish, D. (2010). Students for Recovery: A novel approach to supporting students on campus. Psychiatric Services, 61(6), 633. Epperson, M. W., Khan, M. R., Miller, D. P., Perron, B., El-Bassel, N., & Gilbert, L. (2010). Assessing criminal justice involvement as an indicator of HIV risk among women in methadone treatment. Journal of Substance Abuse Treatment, 38(4), 375-83. Vaughn, M. G., Fu, Q., Perron, B. E., Bohnert, A. S. B., & Howard, M. O. (2010). Is crack cocaine associated with greater violence than powdered cocaine use? Results from a national sample. The American Journal of Drug and Alcohol Abuse, 36, 1-6. Perron, B., Bunger, A., Bender, K., Vaughn, M. G., & Howard, M. O. (2010). Treatment Guidelines for Substance Use Disorders and Serious Mental Illnesses: Do They Address Co-Occurring Disorders? Substance Use and Misuse, 45(7-8), 1262-1278. Howard, M. O., Perron, B. E., Sacco, P., Ilgen, M., & Vaughn, M. G. (2010). Suicide ideation and attempts among inhalant users: Results from the National Epidemiologic Survey on Alcohol and Related Conditions. Journal of Suicide and Life-Threatening Behaviors, 40(3), 276-286. Vaughn, M. G., Fu, Q., DeLisi, M., Beaver, K. M., Perron, B. E., & Howard, M. O. (2010). Psychiatric correlates of bullying in the United States: Findings from a national sample. Journal of Personality Disorders, 24(6), 709-720. Ilgen, M. A., Perron, B. E., Czyz, M. A., McCammon, R. J., & Trafton, J. (2010). The timing of onset of pain and substance use disorders. American Journal of Addictions, 19(5), 409-415. Perron, B. E., Bohnert, A. S., Vaughn, M. G., Bauer, M. S., & Kilbourne, A. M. (2010). Profiles of disability among adults with bipolar spectrum disorders. Social Psychiatry and Psychiatric Epidemiology, 45(12), 1122-1134. Perron, B. E., Vaughn, M. G., Howard, M. O., Bohnert, A., & Guerrero, E. (2010). Item response theory analysis of DSM-IV criteria for inhalant use disorders in adolescents. Journal of Studies on Alcohol and Drugs, 71(4), 607-614. Bender, K., Perron, B. E., Howard, M. O., & Jenson, J. (2010). Strong-arm bullying prior to incarceration among a sample of young offenders. Journal of the Society of Social Work and Research, 1(1), 1-13. Glass, J. E., Ilgen, M. A., Perron, B. E., Winters, J. J., Murray, R. L., & Chermack, S. T. (2010). Inpatient hospitalization in addiction treatment for patients with a history of suicide attempt: a case of support for treatment performance measures. Journal of Psychoactive Drugs, 42(3), 315-325. Chermack, S. T., Grogan-Kaylor, A., Perron, B. E., Murray, R. M., Walton, M. A., & Blow, F. (2010). Violence among men and women in substance use disorder treatment: a multi-level event-based analysis. Drug and Alcohol Dependence, 112, 194-200. Nebbitt, V. E., Tyuse, S. W., Vaughn, M. G. & Perron, B. E. (2010). Conceptual tools for research on race and social problems: An overview of Dynamic Theory and Model Development. Journal of Evidence-Based Social Work, 20, 909-923. Vaughn, M. G., Fu, Q., Bender, K., DeLisi, M., Beaver, K. M., Perron, B. E., & Howard, M. O. (2010). Bullying in the United States: Findings from the national epidemiologic survey on alcohol and related conditions. Psychiatric Quarterly, 81(3), 183-195. Glass, J. E., Perron, B. E., Ilgen, M. A., Chermack, S. T., Ratliff, S., & Zivin, K. (2010). Prevalence and correlates of specialty substance use disorder treatment for Department of Veterans Affairs Healthcare System patients with high alcohol consumption. Drug and Alcohol Dependence, 122(1-2), 150-151. Mowbray, O., Perron, B. E., Bohnert, A. S. B., Krentzman, A., & Vaughn, M. G. (2010). Service use and treatment barriers among heroin users: Results from a national survery. American Journal of Drug and Alcohol Abuse, 36(6), 305-310. Vaughn, M. G., Define, R. S., DeLisi, M., Perron, B. E., Beaver, K. M., Fu, Q., & Howard, M. O. (2010). Sociodemographic, behavioral, and substance use correlates of reckless driving in the United States: Finding from a national sample. Journal of Psychiatric Research, 45(3), 347-353. Lee, S. J., Kim, J., Taylor, C. A., & Perron, B. E. (2010). Profiles of disciplinary behaviors among biological fathers. Child Maltreatment, 45(12), 1125-1134. Kilbourne, A., Farmer-Teh, C., Welsh, D., Pincus, H. A., Lasky, E., Perron, B., & Bauer, M. S. (2010). Implementing composite quality metrics for bipolar disorder: Towards a more comprehensive approach to quality measurement. General Hospital Psychiatry, 32(6), 636-643. Powell, T. J., & Perron, B. E. (2010). The contribution of self-help groups to the mental health/substance use service system. In L. D. Brown & S. Wituk (Eds. ), Mental Health Self-help: Consumer and Family Initiatives. New York: Springer. Vaughn, M. G., & Perron, B. E. (2010). Substance use careers and antisocial behavior: a biosocial life course perspective. In M. DeLisi & K. M. Beaver (Eds. ), Criminology Theory: A Life-course Approach. Burlington, MA: Jones & Bartlett Learning. Vaughn, M. G., Fu, Q., DeLisi, M., Beaver, K. M., Perron, B. E., & Howard, M. O. (2010). Are personality disorders associated with social welfare burden in the United States? Journal of Personality Disorders, 24(6), 709-720. Hasche, L., Perron, B. E., & Proctor, E. K. (2009). Making time for dissertation grants: Strategies for social work students and educators. Research on Social Work Practice, 19, 340-350. Perron, B., Zeber, J, Bauer, M., & Kilbourne, A. (2009). A brief measure of perceived clinician support by patients with bipolar spectrum disorders. Journal of Nervous and Mental Disease, 197(8), 574-579. Vaughn, M. G., Beaver, K., Delisi, M., & Perron, B. E. (2009). Gene-environment interplay and the importance of self-control in predicting substance-related problems. Addictive Behaviors, 34(1), 112-116. Delva. J., Dietz, N. A., Perron, B., Sanchez, N., & Woolley, M. E. (2009). Adult awareness of a youth-focused anti-tobacco campaign: Does having children matter? Substance Use and Misuse, 44(6), 763-774. Perron, B. E., Howard, M. O., Maitra, S., & Vaughn, M. G. (2009). Prevalence, timing, and predictors of transitions from inhalant use to inhalant use disorders. Drug and Alcohol Dependence, 100(3), 277-284. Howard, M. O., & Perron, B. E. (2009). A survey of inhalant use disorder among delinquent youth: Prevalence, clinical features, and latent structure of DSM-IV diagnostic criteria. BCM Psychiatry, 9(8). Perron, B. E., Howard, M. O., Nienhuis, J. K., Bauer, M., Woodward, A., & Kilbourne, A. M. (2009). Prevalence and burden of general medical conditions among adults with bipolar-I disorder. Journal of Clinical Psychiatry, 70(10), 1407-1415. Perron, B. E., Jarman, C., & Kilbourne, A. M. (2009). Access to conventional mental health and medical care among users of complementary and alternative medicine with bipolar disorder. Journal of Nervous and Mental Disease, 197(4), 287-290. Perron, B., & Howard, M. O. (2009). Adolescent inhalant use, abuse, and dependence. Addiction, 104(7), 1185-1192. Vaughn, M. G., Beaver, K., DeLisi, M., Howard, M. O., & Perron, B. E. (2009). Dopamine D4 receptor gene associated with binge drinking phenotype. Alcohol, 43(3), 179-184. Garland, E. L., Howard, M. O., & Perron, B. E. (2009). Nitrous oxide inhalant among adolescents: Prevalence, correlates, and co-occurrence with volatile solvent inhalation. Journal of Psychoactive Drugs, 41(4), 337-347. Vaughn, M. G., Fu, Q., Delisi, M., Beaver, K. M., Perron, B. E., Terrell, K., & Howard, M. O. (2009). Correlates of cruelty to animals in the United States: Results from the National Epidemiologic Survey on Alcohol and Related Conditions. Journal of Psychiatric Research, 43(15), 1213-1218. Kilbourne, A. M., Perron, B. E., Mezuk, B., Welsh, D., Ilgen, M., & Bauer, M. S. (2009). Co-occurring conditions and health-related quality of life in patients with bipolar disorder. Psychosomatic Medicine, 71(8), 894-900. Perron, B. E., Mowbray, O. P., Glass, J. E., Delva, J., Vaughn, M. G., & Howard, M. O. (2009). Differences in service utilization and barriers among Blacks, Hispanics, and Whites with drug use disorders. Substance Abuse Treatment, Prevention, and Policy, 13(4). Perron, B. E., Howard, M. O., Vaughn, M. G., & Jarman, C. N. (2009). Inhalant withdrawal as a clinically significant feature of inhalant dependence disorder. Medical Hypotheses, 73(6), 935-937. Perron, B., Alexander-Eitzman, B., Watkins, D., Taylor, R., Neighbors, H. W., & Jackson, J. S. (2009). Ethnic differences in delays to treatment for substance use disorders: African Americans, Black Caribbeans and Non-Hispanic Whites. Journal of Psychoactive Drugs, 41(4), 369-377. Vaughn, M. G., Perron, B., Beaver, K. M., DeLisi, M., & Wexler, J. (2009). Transactional pathways in the development of externalizing behaviors in a sample of kindergarten children with impaired self-control. In F. Columbus (Ed. ), Control Theory and Its Applications. Howard, M. O., Perron, B., & Vaughn, M. G. (2009). Practice guidelines and evidence-based practice. In A. Roberts (Ed. ), Social Workers' Desk Reference (2nd ed.). Brandfon, S., & Perron, B. (2009). Movies: [Portrayal of substances in the movies]. In P. Korsmeyer & F. Kranzler (Eds. ), Encyclopedia of Drugs, Alcohol, and Addictive Behavior (3rd ed.). MacMillan Reference USA. Luke, K. P., & Perron, B. E. (2009). [Review of the book Essential skills of social work practice: Assessment, intervention, and evaluation]. Research on Social Work Practice, 19, 657-659. Perron, B., & Bright, C. (2008). The influence of legal coercion on dropout from substance abuse treatment: Results from a national survey. Drug and Alcohol Dependence, 92(1-3), 123-131. Perron, B., Vaughn, M. G., & Howard, M. (2008). Reasons for using inhalants: evidence for discrete classes in a sample of incarcerated youth. Journal of Substance Abuse Treatment, 34(4), 450-455. Perron, B., Ilgen, M., Hasche, L., & Howard, M. O. (2008). Service needs among persons in substance abuse treatment: A latent class analysis. Journal of Studies on Alcohol and Drugs, 69(3), 449-453. Perron, B., & Howard, M. O. (2008). Endemic asthma inhaler misuse and abuse among antisocial adolescents. Drug and Alcohol Dependence, 96(1-2), 22-29. Perron, B., Gotham, H., & Cho, D. (2008). Victimization among African-American adolescents in substance abuse treatment. Journal of Psychoactive Drugs, 40(1), 67-75. Perron, B., & Howard, M. O. (2008). Perceived risk of harm and intentions of future inhalant use among adolescent inhalant users. Drug and Alcohol Dependence, 97(1-2), 185-189. Perron, B., & Howard, M. O. (2008). Prevalence and correlates of traumatic brain injury among delinquent youths. Criminal Behaviour and Mental Health, 18(4), 243-255. Guo, B., Perron, B., & Gillespie, D. F. (2008). A systematic review of structural equation modeling in social work research. British Journal of Social Work, 39(8), 1-19. Perron, B., Alexander-Eitzman, B., Gillespie, D. F., & Pollio, D. (2008). Modeling the mental health effects of victimization among homeless persons. Social Science and Medicine, 67(9), 1475-1479. Kymes, S. M., McIntosh, L. D., Perron, B. E., Nease, R. F., & Sumner, W. (2008). Apples and oranges? Assessing the relationship between health and vision related quality of life. Values in Health, 11(3), A297. Vaughn, M. G., Wallace, J., Perron, B., Copeland, V., & Howard, M. O. (2008). Does marijuana use serve as a gateway to nicotine dependence for African-American youth? American Journal of Drug and Alcohol Abuse, 34(6), 782-791. Perron, B. E., & Powell, T. J. (2008). Online groups and social work practice. In A. Gitterman & R. Salmon (Eds. ), The Encyclopedia of Social Work with Groups. New York: Routledge. Perron, B. E., & Howard, M. O. (2008). Inhalants: Extent of use and consequences. In P. Korsmeyer & F. Kranzler (Eds. ), Encyclopedia of Drugs, Alcohol and Addictive Behavior (3rd ed.). MacMillan Reference USA. Perron, B., & Howard, M. O. (2008). Inhalants [Chapter revision]. In P. Korsmeyer & F. Kranzler (Eds. ), Encyclopedia of Drugs, Alcohol and Addictive Behavior (3rd ed.). MacMillan Reference USA. Perron, B., & Bender, K. (2008). Groups for persons with co-occuring psychiatric and substance use disorders. In A. Gitterman & R. Salmon (Eds. ), The Encyclopedia of Social Work with Groups. New York: Routledge. Nienhuis, J. K., & Perron, B. (2008). Inpatient versus outpatient. In P. Korsmeyer & F. Kranzler (Eds. ), Encyclopedia of Drugs, Alcohol and Addictive Behavior (3rd ed.). MacMillan Reference USA.